All short course attendees will receive a certificate of approval for professional development issued from the Institute of Materials. This four-day educational and developmental course will provide engineers and scientists with an intense, in-depth study of the latest developments surrounding tire engineering. This basic course is designed for all those working in the associated tire industry who wish to know more about the compounding of rubber. The course will be delivered by Lars Netsch of TÜV SÜD, who has considerable knowledge of the current tire regulations in Europe and beyond. 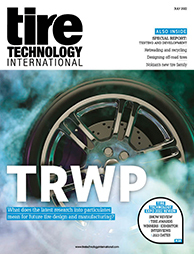 These are particularly critical as tire labelling and new type approval regulations are introduced. This course will investigate the effect of the road surface on the rolling properties of tires: noise, rolling resistance and braking. This course will provide engineers with a thorough grounding in all aspects of cords and steel wire. This course will discuss the multiple aspects of automobile dynamics that are driving the development of intelligent tires, plus the engineering principles required for the integration of intelligent tires and vehicles to meet various goals. This year we are extending the course to three days, with additional speakers joining our experienced team of presenters from both academia and industry. The course covers the computer modelling of tires within a full vehicle system and explains the use of models in a simulation environment.